Can a Multivitamin Cause Heart Palpitations? Do You Know the Best Vitamins for Healthy Hair? Does Lycopene Improve Enlarged Prostrate Health? How Do Enzymes Work in Your Body? How Much Do You Know About Taking Fish Oil? What Important Vitamins Does My Body Need? What Is L Ascorbic Acid? What Is the Normal Intake Level of Folic Acid? What Is the Vitamin D 25-Hydroxy Test? Why Are Too Many Vitamins Bad for You? Why Are Vitamins and Supplements Good for You? Why Do Vitamins Make Me Tired and Sleepy? Browse through the articles here to learn all about vitamins. You'll find an abundance of useful information, and as more articles continue to be added, your knowledge will continue to grow. If you need to know the basic vitamin needs for women or you are interested in how Vitamin B12 was discovered, you'll find it here. Learn which foods will help you get the vitamins your body needs. Find out what to eat to help prevent certain health issues. Vitamins aid the body's defense systems and keep you healthy. Understanding vitamins and what they do will help you maintain better health. See the benefits that different vitamins provide for your body. Understand how your body uses various vitamins as well as how much your body needs to function optimally. All of this information and more can be found here. Specific vitamins aid in the necessary functions of the body. For example, Vitamin K is necessary for proper blood clotting and also helps prevent osteoporosis. 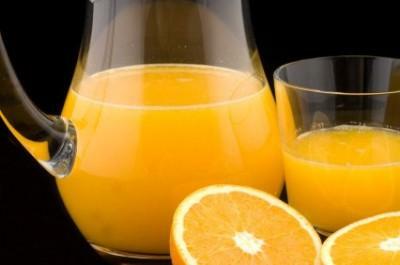 Vitamin C is thought to help prevent cold and allergies, but it is also needed for a health immune system. Vitamin B12 is essential for a healthy nervous system as well as being an energy booster. It's also important to be aware of recommended daily allowances and the importance of getting the proper amounts of important vitamins. It is possible to get too much of some vitamins, such as Vitamin D or Vitamin A. This is known as vitamin toxicity and it can lead to many problems like as nausea and vomiting. In some cases, ingesting too much of certain vitamin supplements can even lead to death. Not getting enough of the vitamins your body needs can also cause problems. You could end up with a weakened immune system by being deficient in some vitamins. More serious problems like heart disease or high blood pressure can also result from deficiencies in certain nutrients. You can see why it is important to learn all about vitamins. They are essential for life.